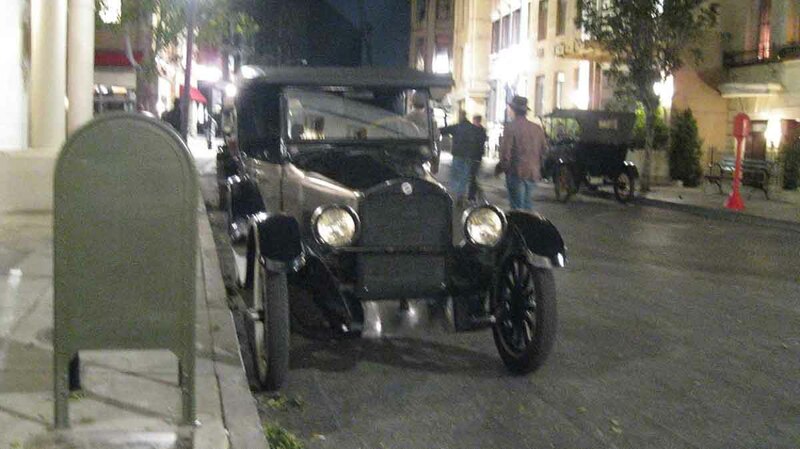 Wow, there were sure lots of Model T's and A's in the movie. Who all had their car in the movie? 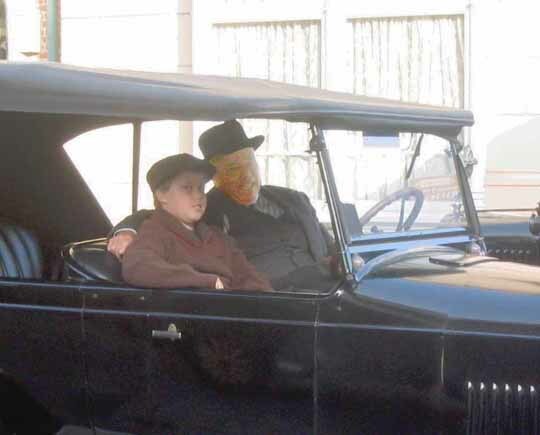 We had the family 1924 Studebaker in the film. It appears DeCaprio he is riding his bicycle at night. 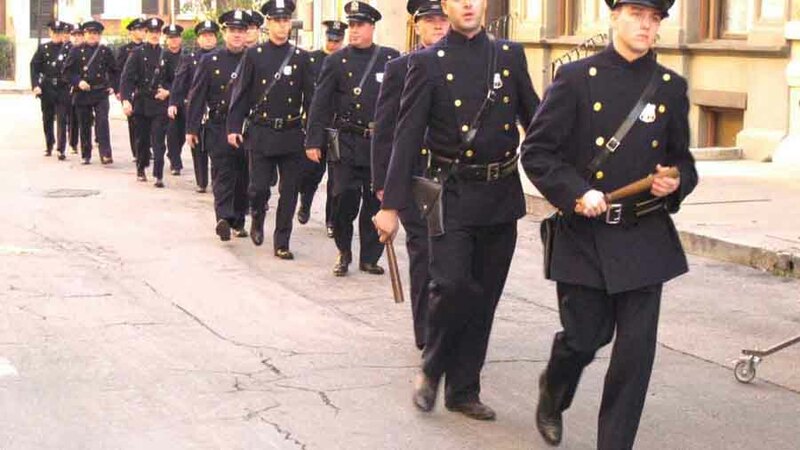 I was in one scene where the policemen were dressed in period uniforms and came running out of the police station and got into a row of Model T's. Then we drove away in a hurry. I am driving the last one on the right. All of us in our car were wearing suits because we were detectives. I believe that, that scene wound up on the cutting room floor. I liked that art that was in the early twentys, there was a 14 or earlier car that looked showroom new. Must be nice not to age. The only show that had cars that where 'well used' was on the "wind on my back" canadian show. The '27 Roadster PU that James Dean drove in Giant was a bit beat up and proper condition for the setting. We had the 1924Studebaker in the "Changeling" film and they asked us not to wash the car before we brought it to the fimming. 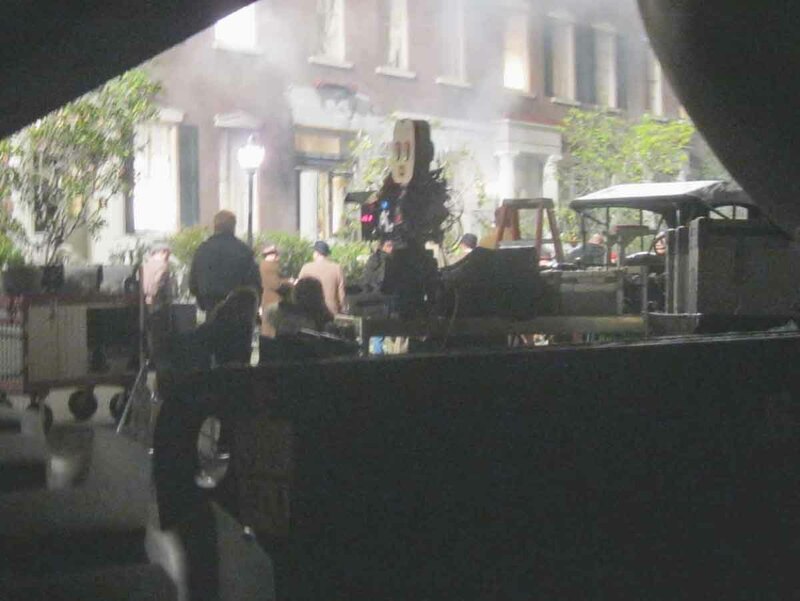 I snuck our Grandson Bryan onto the set and he got in the shot where they are in Canada near the end of the film. Bryan is our son Bill's son. 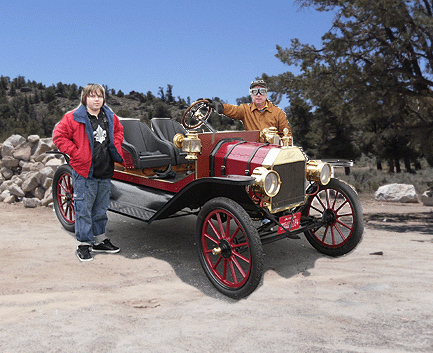 Bill and Bryan have a 1913 Model T Speedster as shown below.